Washington (CNN) - A ban on the sale of some Apple products - including iPhones and iPads - will not go into effect after President Barack Obama’s administration stepped in Saturday, a day before the prohibition was to go into effect. Ambassador Michael Froman, the U.S. trade representative, overturned a June decision of the U.S. International Trade Commission – which, according to its website, is an “independent, quasijudicial federal agency” that investigates trade issues - that certain Apple products designed for the AT&T network could not be imported to or sold in the United States. The Obama administration's 60-day window to address, and possibly reverse, that decision was to end Sunday. The trade representative’s rare move stems from a patent dispute between the tech giants Apple and Samsung over patents on wireless communications. An ITC judge ruled against Samsung on three patents, but the commission sided with Samsung on the fourth - leading to the ban announced in June. It would have affected models of the iPhone 4, 3GS and 3, as well as iPads and iPad 2s, that were compatible with AT&T’s network. In a letter Saturday outlining the decision, Froman expressed "substantial concerns" about "patent hold-up," in which companies use a patent to gain "undue leverage" over use of technologies. He also noted that communications technology standards, including those covered by patents, "have come to play an increasingly important role in the U.S. economy." Froman noted that his decision does not stop the dispute between Apple and Samsung from continuing to play out in court. 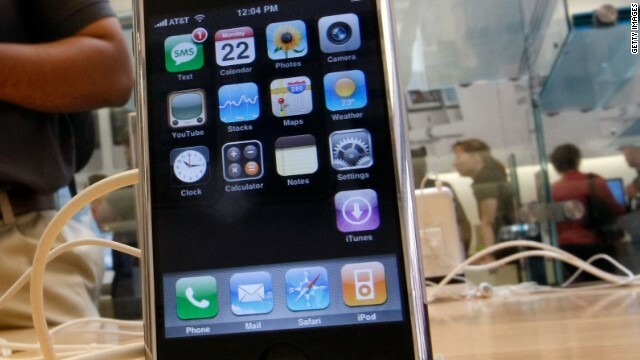 Last summer, Apple won a $1 billion lawsuit against Samsung over patent issues. A Samsung spokesman said Saturday it was “disappointed” in Froman’s decision. “The ITC’s decision correctly recognized that Samsung has been negotiating in good faith and that Apple remains unwilling to take a license,” David Steel said in a statement. Apple and the ITC did not immediately answer calls from CNN on Saturday for reaction to the U.S. Trade Representative’s decision. kgbdk, Do you not remember the ban on HTC phones in 2011? For the government to step in here and not in the HTC case is protectionism. Apple's trouble is from outsourcing. How could it have been for a country's product to be stopped from getting to its home buyers. Outsourcing was a 20th century management practice was adopted to gain reduced overheads in productions. But these days, such production strategies are considered on affiliate basis to the parent coy at home. Its unfortunate that US coys should ignore the economic, socio-political & technological implications of Outsourcing to still revere in such venture. US business should reverse this trend urgently or be prepared to face consequences of its adversities, moreso, when it becomes politically inexpedient to come to their rescue. Well, I don't suppose the USA has much need of the ITC then ? Anyhow, Apple isn't paying its of American Taxes, yet they still get the Pres to White Knight for them. This is an expression of power NOT in the US interest. Both Apple and Samsung products are made outside the US and the profits do not come here. Hmmmmmm........looks like Apple was able to 'convince' a high profile Washingtonian to reverse a judicial order. I feel pfeklemt. @ Anonymous – There was nothing "fanboy" about what Jubei said. Those were all facts that people like you just don't want to hear. It just shows you do not comprehend the differences between Apple's court suits (design patents for unique device element protection) and SEP/FRAND patents (technical underpinnings of things like networks which everyone needs in which to compete & which need to be fairly priced) which is the only thing Samsung's got being devoid of few design ideas in which to fight back as notorious "slavish copiers." The 3G patent they used is actually only a very tiny part of that technology so asking 2.4% or $18 per iPhone was highway robbery. It was Samsung that refused to negotiate, not Apple. Also Samsung stands to benefit from the President's action telling the ITC and courts they won't put up with SEP/FRANDs used as weapons. Another company is suing Samsung over another patent in the same way they sued Apple but won't be able to do that now and have it stick. So you see this action will now protect everyone, including Samsung. I would heartily advise you to learn more about this stuff before commenting and fueling the flames of foolishness. You know what this reminds me of? Iron Man 2. When Hammer said it's not fair that Tony Stark hoards the Iron Man technology to himself and doesn't give it to everyone else. Samsung is Hammer, Apple is Tony Stark. I mean seriously, Samsung is mad because they can't copy what Apple invented. Yes, after a certain amount of time Apple needs to admit someone else would have come up with the "technology", but does anyone seriously think our mobile devices would be this advanced at this point with Apple out of the picture? Mac Cat just made me want to buy a Samsung Galaxy. Just work it out. A consumer wants to consume. We want our iPhones + iPads. We'd prefer them to made made here at home, but we'll never boycott the best products available, so just bring them. Just work it out. I've owned and used both Apple and Samsung products. There is no doubt that Samsung delivers far superior technology for equal or lower price. Samsung has a clear technological superiority over Apple. Samsung does not need to steal anyone's technology. Apple has the clear motive and need to steal other's patents. great decision. nice example of the government using its powers in a good way. > menu structure, it is ridiculous, patent technology and change the term for technology patents, then this garbage will stop. Unlike Apple, Samsung's patents are actually for original and interesting ideas here. But like has been said, they're supposed to be licensing them for reasonable fees. But yeah, the tech patent system has basically been bought by billionaire companies at this point, and transformed into something that basically feeds money into their pockets rather than something that encourages people to innovate and come up with new ideas. If you're going to write your congressmen and complain about something, complain that the patent system needs a massive overhaul, not that you're upset you may not be able to buy a replacement iPhone for a week. The problem here is simply caused by the patent system. Apple has a patent for the idea of a rectangular product with rounded corners. Yeah, that's original and clearly not something anyone else could have thought of before. The folks who made the etch-a-sketch should have patented it long before. In short, these companies fire off patent filings for anything and everything, not because they need them to protect their intellectual property, but because they can use them to attack the competition. Apple just got slammed in court over price-fixing for ebooks, and they did that originally simply because they wanted a share and couldn't compete fairly with Amazon. Apple has no ethics and overpriced products, made by near-slave labor...and they'll never have enough money. GREED! This proves that US is the most corrupted country from Top to Bottom. Obama, the so called peoples president, stands behind co-operations like no other president did. Just because Apple is a US company should they be allowed to violate copyright law? Where was this president when Apple sued Samsung for $1 billion?? I think other countries should ban Apple just because its a US company. The bottom line is that US is not the country to invest in. With this decision Obama administration discourages future foreign investments which crumbles the US economy. I wish US had an educated person as the president. When it comes to business US is a country with no law and order. Samsung can be sued for patent violating but Apple can not be? If this President is worried about US jobs (well he's not) then what about South Korean and Asian jobs if you hit Samsung? what if EU bans US products (lets say GE and Boeing) to save EU manufacturers (say Siemens and AirBus) even EU companies violated copyright law?? Will US say "NO PROBLEM"?? This country has no law and no ethics, worse than China. LOL – an asian company asserting intellectual property rights against a US corporation ought to be laughed right out of our courts until their countries equally protect US companies' intellectual property rights. So much IP Rights. Why would anyone trust the US government anymore? Die Apple Die, please go away already. Hipsters are tired wannabes and yesterdays news. Smart tech people NEVER buy Apple crap, more people are being more informed every day. Let's see a show of hands from those that are willing and/or able to pay 3-4 times more for the majority of the consumer products they now own that are not made in the U.S. Yeah, that's what I thought.